A gallery of roses photographed over the last couple of days. Rose season has started! 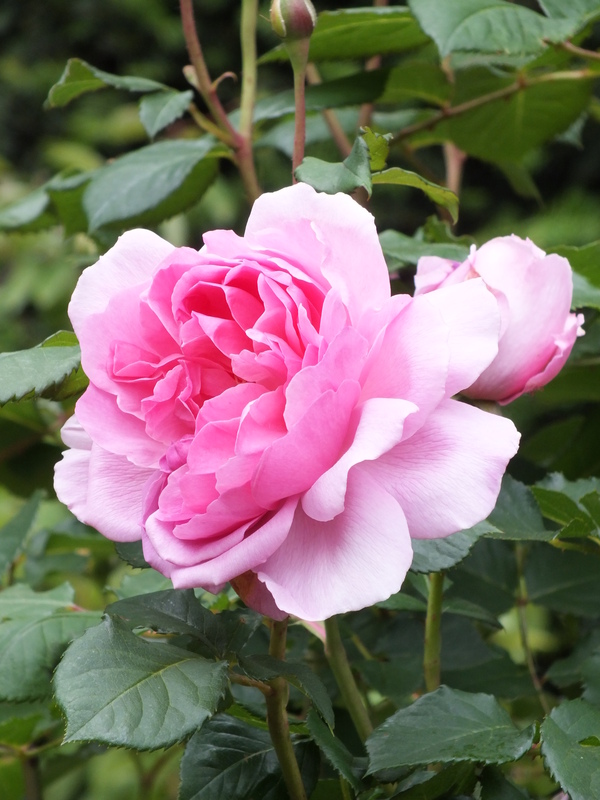 It’s roses all the way for me this week – well for the season now if I’m honest – and I’m collecting information and articles on a whole range of rose-related topics. The notes which follow cover a whole range of pests, diseases and disorders that can affect our roses. I’m not saying that rose are tricky customers, not at all, but best to be informed… The gallery above and all the larger photos are mine, happy healthy plants all. Let’s get started… a detailed and informative article…. the formatting is a little all over the place, for which my apologies.. The incidence of rose diseases will be affected by the rose variety, environmental conditions, and presence of pathogens. An IPM (Integrated Pest Management) strategy considers these three components, and reduction of disease pressure can often be accomplished by careful variety selection and environmental management. However, chemical application (e.g., fungicides) may be necessary in certain situations. A variety of plant pathogens may attack outdoor roses from time to time. 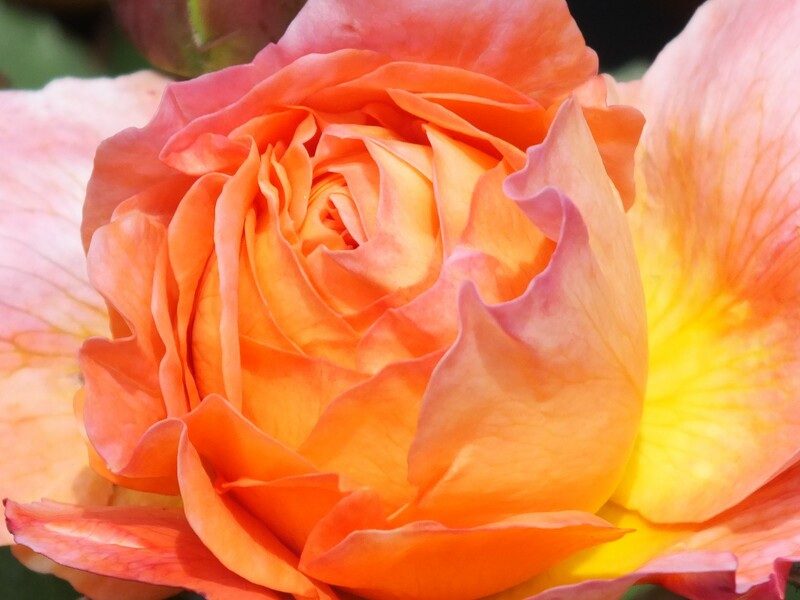 Although powdery mildew is perhaps the most common disease problem, a number of other diseases, including rust, black spot, botrytis, downy mildew, and anthracnose, may affect roses where appropriate conditions prevail. To limit problems with pathogens, choose varieties and irrigation practices carefully, promote air circulation through rose bushes with careful pruning and placement of plants, and remove severely infested material promptly. Although some rose enthusiasts consider regular application of fungicides a necessary component of rose culture, many others are able to produce vigorous, floriferous plants with little to no use of synthetic fungicides, especially in dry climates.In addition to diseases caused by bacterial, fungal, and viral pathogens, roses may display similar symptoms that are the result of chemical toxicities, mineral deficiencies, or environmental problems. Such disorders can often be corrected by changing environmental conditions. Powdery mildew, caused by the fungus Sphaerotheca pannosa var. 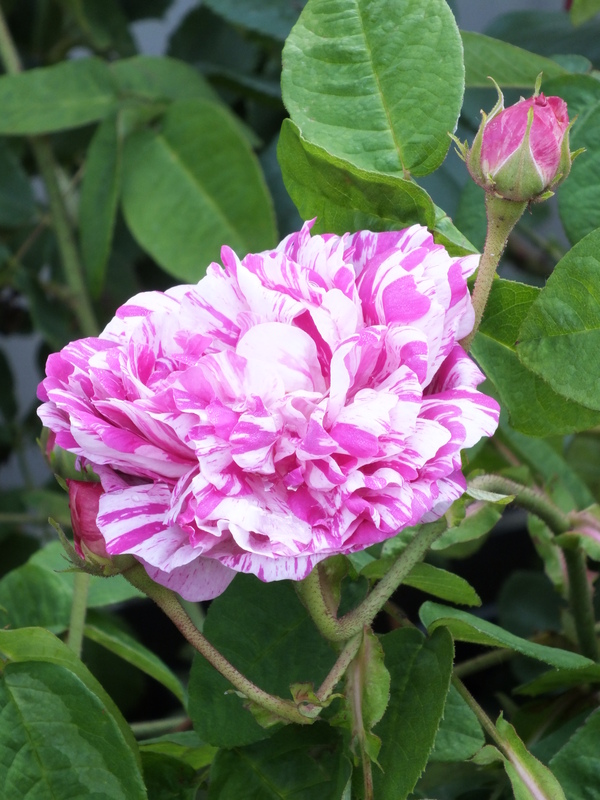 rosae, is recognized by white to gray powdery growth on leaves, shoots, sepals, buds, and occasionally on petals (Fig. 1.). Leaves may distort and drop. Powdery mildew does not require free water on the plant surfaces to develop and is active during warm, dry summer conditions. Overhead sprinkling (irrigation or washing) during midday may limit the disease by disrupting the daily spore-release cycle; be sure to allow time for the foliage to dry. Because the pathogen requires living tissue to survive, pruning and carefully disposing of leaves during the dormant season can limit infestations but may not entirely eradicate them, since airborne spores from other locations can provide fresh inoculum. Fig. 1. The whitish powdery growth of powdery mildew is displayed on this bud and leaf. Rose varieties vary greatly in resistance to powdery mildew; landscape (shrub) rose varieties are among the most resistant. Glossy-foliaged varieties of hybrid teas and grandifloras often have good resistance to mildew as well. Plants grown in sunny locations with good air circulation are less likely to have serious problems. Fungicides are available but generally must be applied to prevent rather than eradicate infections, so timing is critical and repeat applications may be necessary. Formulations of neem oil may also control powdery mildew. In home garden situations, sodium bicarbonate in combination with horticultural oils has been shown to control powdery mildew of roses when used in a solution of about four teaspoons of baking soda per gallon of water (about 6 cc baking soda per L water) with a one percent solution (v/v) of narrow-range oil. The best time to apply this solution to avoid problems with phytotoxicity is during cool weather. Sodium bicarbonate is deleterious to maintenance of soil pH and soil structure and may leave white foliar deposits, so numerous applications with resulting runoff should be avoided. Fig. 2. Downy mildew causes interveinal, angular spots on leaves.If powdery growth is present, it is only on the underside of leaves. Downy mildew, caused by the fungus Peronospora sparsa, requires moist, humid conditions. Interveinal, angular spots that are purple, red, or brown appear on leaves, followed by leaf yellowing and abscission (Fig. 2.). Fruiting bodies of the fungus occasionally may be observed on the undersides of leaves. Downy mildew can be reduced by increasing air circulation through pruning and avoiding frequent overhead irrigation. Control with fungicides is very difficult; environmental management is much more likely to be effective. Downy mildew is most likely to cause problems in wet subtropical or tropical areas or where rain has been frequent. Downy mildew is usually a springtime problem where it occurs. Rust, caused by the fungus Phragmidium disciflorum, is favored by cool, moist weather. Infected plants have small orange pustules on the leaf undersides; the upper sides of leaves may discolor and leaves may drop (Fig. 3). Avoid overhead watering and prune back severely affected canes. During the winter collect and dispose of leaves remaining on the plants as well as those that have fallen off. Low levels of damage can be tolerated without significant losses. Preventive applications of fungicides can be used, but frequent applications may be needed and may not be justified in garden or landscape situations. Fig. 3. Rust forms small orange pustules on undersides of leaves and may discolor upper leaves. Black spot, caused by the fungus Diplocarpon rosae, causes black spots to develop on the upper surface of leaves and stems. The spots have feathery or fibrous margins but no fungal growth on the undersides of leaves (Fig. 4). Small black fruiting bodies are often present in spots on upper sides of leaves. Miniature roses are more susceptible than other types. The fungus requires free water to reproduce and grow, so this disease may also be a problem during wet spring weather. If possible, rose foliage should not be allowed to remain wet for more than 7 hours. (Hose off aphids in the morning, so the leaves have a chance to dry by midday.) Provide air good circulation around bushes. Remove fallen leaves and other infested material and prune out infected stems during the dormant season. If required, fungicides can be applied preventatively. Neem oil or a combination of sodium bicarbonate or potassium bicarbonate and horticultural oil as discussed under powdery mildew has also been shown to be effective for reducing black spot. Black spot is common in wetter climates. Fig. 4. Leaf spots caused by black spot have feathery margins and no fungal growth on undersides of leaves. Anthracnose, caused by the fungus Sphaceloma rosarum, causes spots on leaves. When first formed, the spots are red or sometimes brown to purple. Later the centres turn gray or white with a dark red margin. Fruiting bodies may appear in the middle of the spot, and the lesion may fall out, creating a shot hole symptom. No information on management is available. Hybrid teas and old-fashioned climbing and rambler roses are most often affected. Fig. 5. Mosaic viruses cause splotches or zigzag patterns on leaves. Viruses, including rose mosaic virus and others, may infect rose plants, although damage may be mostly cosmetic with little reduction in plant vigor (Fig. 5). Mosaic viruses can cause a variety of yellow zig-zagging patterns, splotching, or vein clearing. Symptoms are most pronounced in spring but may disappear almost completely during summer. Rose leaf curl virus causes leaves to curl downward and die, often with some overall yellowing. There is no known treatment for eradicating viruses in established plants. Tolerate or destroy infected plants and obtain virus-free stock for future planting. Because mosaic viruses are spread through propagation of plant parts, obtaining clean planting stock is the primary management strategy. Nutrient deficiencies cause specific symptoms. Nitrogen deficiency causes chlorosis and drop of older leaves (Fig. 6). Since many soils have low concentrations of available nitrogen, roses may benefit from addition of this nutrient either as fertilizer or from organic material. Micronutrient deficiencies, especially iron and zinc, appear as interveinal chlorosis of new leaves. These elements may be deficient because soils are too wet, are too alkaline, or are soil types such as sandy loam, which have a low content of micronutrients. Because inorganic forms of iron and zinc form insoluble precipitates in alkaline soils, iron and zinc may be applied directly to foliage. Iron and zinc in a chelated form may be applied to either soil or foliage. Fig. 6. The leaflet at left shows vein clearing caused by a virus. The leaf at right has veins that are green with yellowed interveinal areas caused by nitrogen deficiency. Nutrient excesses may limit rose growth if the total salt level becomes too high, above 2 dS m-1, which results in lack of vigor and short shoots, although no definitive leaf symptoms may occur. A few nutrients cause specific toxicities. Fig. 7. The needle-like new leaves and underdeveloped blossom on the rose at left were caused by glyphosate (Roundup) damage. Botrytis blight, caused by the fungus Botrytis cinerea, is favored by high humidity (Fig. 8). Affected plants have spotted flower petals and buds that fail to open, often with woolly gray fungal spores on decaying tissue. Twigs die back and large, diffuse, target-like splotches form on canes. To help control botrytis blight, reduce humidity around plants by modifying irrigation, pruning, and reducing ground cover. Remove and dispose of fallen leaves and petals. Prune out infested canes, buds, and flowers. Botrytis is usually a problem only in wet climates or during periods of wet weather. Fig. 8. The dark streak, gray spores, and decaying tissue on this blossom were caused by the fungus Botrytis cinerea. Stem cankers and dieback can be caused by a number of different fungi. Cankers are often brown to deep purple or black, often with gray centers or small, black, spore-producing structures on dead tissue. Provide proper care to keep plants vigorous. Prune out diseased or dead tissue, making cuts at an angle in healthy tissue and just above a node. Avoid wounding canes. Cankers often develop after cold-weather injury, so early spring pruning may not effectively eliminate them if late frosts occur, and additional late spring pruning may be necessary. Winter injury from cold temperature results in dead or dying flowers, twigs, and stems. Roses may be protected over the winter with a thick layer of leaf mulch in areas with winter minima below about 10F (-12C) without snow cover or about -10F (-23C) with snow cover. Winter injury may be followed by stem canker diseases caused by weak pathogens that move into injured tissue. Winter injury may also occur in mountain areas where late frosts affect developing tissue. Sunburn appears as blackened areas, especially on the south and west sides of canes. Sunburn is caused by excessive temperatures on rose canes, usually as an indirect result of defoliation caused by drought stress or spider mite pressure. Reflected heat from masonry, vinyl siding, or rock mulch may also cause canes to sunburn. As would be expected, sunburn is uncommon in high latitudes, becoming more frequent in warm, sunny climates. Crown gall, caused by the bacteria Agrobacterium tumefaciens, affects many woody plants, including fruit trees, ornamentals, and roses, as well as some herbaceous plants including chrysanthemums and daisies. Crown gall bacteria invade tissue following wounding. Galls, in the form of large, distorted tissue growth, form at the base of the plant or sometimes on roots or farther up on stems. Infected canes can be stunted and discolored. Do not plant roses in infested soil or near infested plants, and don’t transplant “gift” roses having questionable appearance of wood. Purchase and plant only high-quality roses. Aphids, also known as greenfly and blackfly, are sap-sucking insects. There are several species that occur on roses in Britain. Squashing aphids with finger and thumb is feasible on small roses. Aphids are eaten by ladybirds and their larvae, hoverfly larvae, lacewing larvae and are also killed by several species of parasitic wasps. Unfortunately these beneficial insects are often not present in sufficient numbers, particularly early in the season to prevent damaging aphid infestations developing. Look for aphids on the shoot tips and underside of leaves from spring onwards. When seen, spray the plants with thiacloprid (e.g. Bayer Provado Ultimate Bug Killer, Bayer Multirose Bug Killer), acetamiprid (e.g. Bug Clear Ultra, Rose Clear Ultra) or deltamethrin (e.g. Bayer Sprayday Greenfly Killer). Organic pesticides, such as pyrethrum (e.g. Py Spray Garden Insect Killer, Doff All in One Bug Spray, Bug Clear Gun for Fruit and Veg), plant oils (e.g.Vitax Organic 2 in 1 Pest & Disease Control, Growing Success Shrub & Flower Bug Killer) or fatty acids (e.g. Bayer Organic Pest Control, Doff Greenfly and Blackfly Killer, Rose Clear Gun) are less harmful to ladybirds and other aphid predators but may need more frequent use because of their short persistence. Do not spray plants in flower due to the risk to bees and other pollinating insects. Aphids usually overwinter on roses as eggs laid on the stems in the previous autumn. However, in sheltered places they may remain active all year round. Aphid numbers start to increase in spring when roses are producing new growth and reach a peak in early summer. Some rose aphids are green but a common species, Macrosiphum rosae, is pink. During spring and summer, the aphids are mostly wingless forms, 2-4mm long, that give birth to live young. Winged forms develop when plants are heavily infested and aphids need to migrate to new host plants. Powdery mildew is one of the most common foliar diseases of roses. The white, powdery fungal growth can be very disfiguring, with repeated heavy infection reducing plant vigour. Cultural techniques play an important role in minimising outbreaks, and fungicides can also be used. What is rose powdery mildew? Rose powdery mildew is a disease of roses caused by the fungus Podosphaera pannosa. The conspicuous white growth can affect all aerial parts of the plant, producing microscopic spores that spread the disease. High humidity is favourable for infection, and plants growing in areas where air movement is poor or the soil is dry can be severely affected. Like that of most powdery mildews, the majority of the growth of rose powdery mildew is on the surface of the plant. This exposed growth makes it susceptible to a range of chemical control measures. Some of the fungicides available for the control of rose mildew will have activity against blackspot and rust, which are also common and damaging diseases. These include difenoconazole (Westland Plant Rescue Fungus Control), myclobutanil (various products, including Bayer Garden Systhane Fungus Fighter, Westland Rose Rescue and Doff Systemic Fungus Control), tebuconazole (Bayer Garden Multirose Concentrate 2) and triticonazole (Scotts Fungus Clear Ultra, Roseclear Ultra). Some formulations also contain insecticides but these are best avoided if no insect pest problem is specifically identified. For example, some formulations of myclobutanil (Westland Rose Rescue) contain cypermethrin, some formulations of tebuconazole (Bayer Garden Multirose Concentrate 2) contain deltamethrin, and some formulations of triticonazole (Scotts Roseclear Ultra and Scotts Roseclear Ultra Gun) contain acetamiprid. Plant and fish oil blends (Vitax Organic 2 in 1) and the sulphur and fatty acids formulation (Scotts Nature’s Answer Natural Fungus and Bug Killer) may also be used but the latter must be kept away from fish. Fungicides are likely to need several applications during the growing season, particularly in still, humid weather. Sprays in late summer and early autumn may help to reduce the number of infected buds in which the fungus can overwinter. Rose powdery mildew spreads during the growing season by means of microscopic, air-borne spores produced on the powdery growth. Unlike many other fungal diseases, extended periods of leaf wetness are not required in order for the spores to germinate. This means that powdery mildew is often a problem during dry summers. High humidity is, however, favourable for spore production and infection, and plants growing in areas with poor air flow (allowing the accumulation of humid, ‘stagnant’ air) are likely to be attacked. Thus climbers and ramblers grown against walls and fences are often heavily infected. Plants grown in these situations are also more likely to experience dry soil, which is another factor thought to increase susceptibility. Rose mildew overwinters as fungal growth (mycelium) on the stems, or within some of the dormant buds. When these buds resume growth in spring the shoots soon become completely covered with mildew. The fungus then spreads from these infected shoots (known as ‘primaries’) onto the rest of the plant. Rose black spot is a fungal disease of roses where purple or black spots develop on leaves, which often drop early. Black spot is the most serious disease of roses. It is caused by a fungus, Diplocarpon rosae, which infects the leaves and greatly reduces plant vigour. Expect to see leaf markings from spring, which will persist as long as the leaves remain on the plant. The fungus is genetically very diverse and new strains arise rapidly. Unfortunately, this means that the resistance bred into new varieties usually fails to last because new strains of the fungus arise to overcome it. These are variable, depending on the rose variety and the strain of the fungus. Typically, a rapidly enlarging purplish or black patch appears on the upper leaf surface, with diffuse and radiating strands of the fungus sometimes just visible. Badly affected plants can shed almost all their leaves and their vigour is greatly reduced. The symptoms are so severe that, anecdotally, the disease has been blamed for a decline in the popularity of roses in UK gardens in recent decades. Collect and destroy fallen leaves in the autumn, or bury under a layer of mulch. Prune out all stem lesions in spring before leaves appear. These actions will help delay the onset of the disease, but are of limited value because spores are bound to blow in on wind-blown rain from elsewhere. Popular garden varieties of hybrid teas, floribundas, climbers and patio types are usually susceptible. 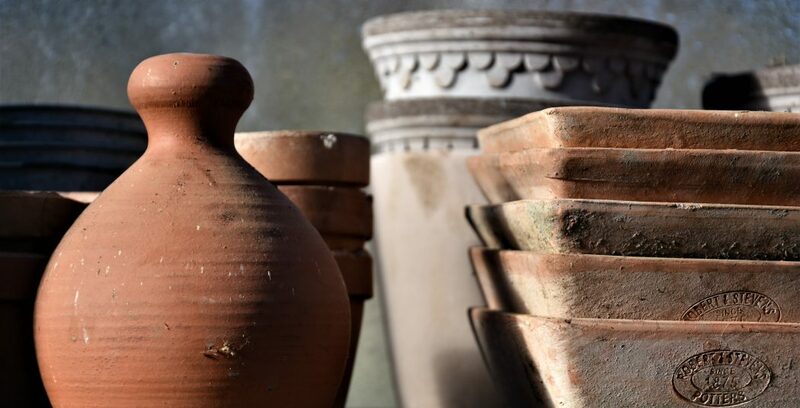 Gardeners may gain a few years’ respite by planting the newest varieties which claim resistance, but as discussed above, this usually does not last. Older species types are little affected. Fungicides containing difenoconazole (Westland Plant Rescue Fungus Control), myclobutanil (Bayer Garden Systhane Fungus Fighter, several formulations), tebuconazole (Bayer Garden Multirose Concentrate 2), triticonazole (Scotts Fungus Clear Ultra) and Plant and Fish Oil Blends (Vitax Organic 2 in 1) may all be used. Some formulations myclobutanil, tebuconazole and triticonazole contain insecticides to control pests. It is advisable to alternate several products to maximise their effectiveness. Avoid products also containing insecticides unless there is also a pest problem that needs control. Plant and Fish Oil Blends (Vitax Organic 2 in 1) may also be used and are permitted under some organic regimes. The fungus produces spores in the black spot lesions on the upper leaf surface and these spread in water to initiate new infections. Wet conditions are required for the disease to build up, but most summers in the UK are sufficiently wet. The fungus spends the winter in resting structures on fallen leaves and also in dormant infections on young stems and buds, producing spores in the spring to infect young foliage. Historically, new roses planted in old rose beds consistently fail to thrive. But scientists understand little about the causes of rose sickness, or “re-plant disease” as it is now more often called. Prime suspects are dastardly microscopic soil-dwelling nematodes (to which established roses were presumed to become immune). There are also vague accusations about gardeners’ desultory pre-planting preparation of already exhausted soil in long-established beds. I have to say that given the level of almost fanatical manuring, feeding and general soil-twiddling that dedicated rose fans go in for, I am less than convinced by this idea. 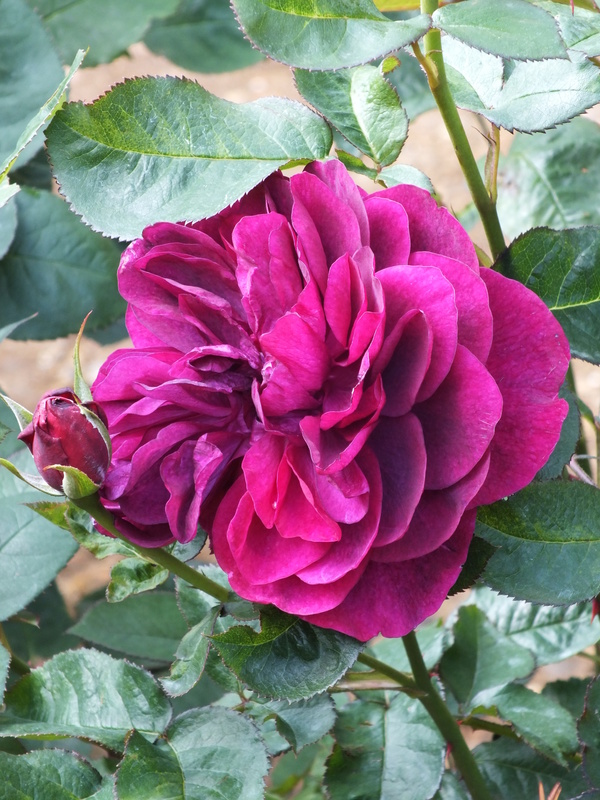 Until relatively recently, the best advice for rose sickness-sufferers was to replace completely the soil in the area designated for a new inmate of an old rosebed. It had to be a lot of soil, too – at least two cubic feet for each rose (although it could simply be swapped with soil from another part of the garden). Or you could plant a new rose in good soil-based compost (or indeed suitably improved garden soil from elsewhere), within a spacious cardboard box – the presumption being that by the time the box had disintegrated, the new rose would be big and tough enough to cope with whatever the unknown underworld beyond had in store for it. But now, at last, there is a possible solution to the disease – commercially produced mycorrhizal fungi. These naturally occurring fungi, which live underground in the wild where they benefit plant growth, are now conveniently available in granular form. The science goes something like this: once the fungi make direct contact with the roots of most plants (exceptions include brassicas), they attach themselves to them and grow outwards, searching for water and nutrients. The result is a symbiotic relationship between plant and fungi, leading to stronger, quicker and more disease-resistant plant growth. Furthermore, it is now thought that by introducing mycorrhizal fungi to the soil around the roots of new roses in old beds, rose sickness problems are overcome. Roses, other shrubs and trees that are traditionally sold dormant and bare-rooted can have their nether regions dipped in slurry of the stuff – a packet of wallpaper paste-style powder is included in the pack. Container-grown plants benefit from having their fine, hair-like roots very slightly exposed, so that they make direct contact with a sprinkle of the granules placed in the bottom of their planting holes.